The Charleston Digital Corridor is the response to a request by the citizens of Charleston to grow a high-wage economy while further diversifying Charleston's economy. The following represent a few milestones in the development of the Charleston Digital Corridor. This is Charleston's tech economy. Bluffton Today reports on Charleston's Explosive Tech Growth. Digital Corridor's iFive:K race sets yet another participation record with 1,050 race entries. Charleston is ranked #8 on the 2016 Best Cities for Tech (outside CA & NY) list. Ernest Andrade transitions role from City of Charleston Business Development Director to lead the Charleston Digital Corridor Foundation. The Huffington Post reports that Charleston is outpacing the Nation in tech growth. Charleston tech companies continue to receive significant capital investments - Notable companies include pokitdok, Phishlabs and Benefitfocus. Almost 1600 students attend CODEcamp since the program launched May 2012. Charleston companies expand local footprints as they are acquired by companies from outside the state – notable acquisitions include Pure Cars by privately held Raycom Media and SPARC by Booz Allen Hamilton. Longtime Charleston Mayor, Joseph P. Riley, Jr., retires after 40 years of public service; he is succeeded by John Tecklenburg. CODEcamp expands to include a pilot kids summer program and then becomes a year round offering. 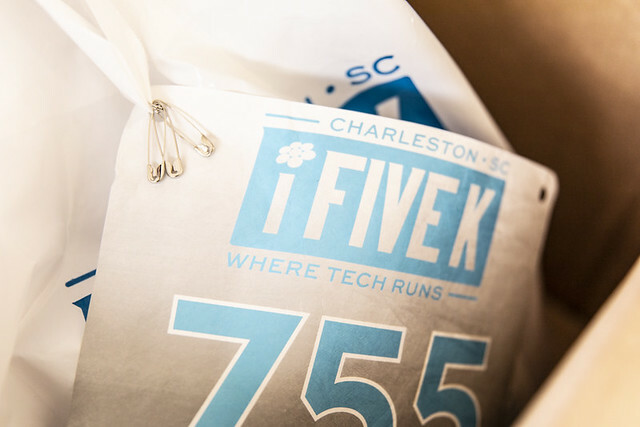 Digital Corridor's iFive:K race sets yet another participation record with 972 race entries. Digital Corridor launches a new monthly "leadership profile" series to showcase individuals who are driving Charleston's tech scene forward. Planning for Flagship3 and the accompanying public parking garage continues - the existing Flagships graduate over 100 companies. Milken Institute ranks Charleston as the11th best-performing economy in the nation. Digital Corridor receives (unanimous) conceptual approval from the Charleston Board of Architectural Review (BAR) for proposed Flagship3 building on Morrison Drive. Digital Corridor member companies including Blackbaud, BoomTown, Good Done Great, Phishlabs and ISI Technology continue strong growth through acquisition and external funding. 894 students attend CODEcamp since the program launched May 2012. Flagship graduate, PeopleMatter, dedicates world HQ building on King Street in Downtown Charleston and raises $35 million in venture capital. Under30CEO.com names Charleston a top location for IT Companies and Jobs. Digital Corridor announces plans to build a new 45,000 sq.ft. business incubator. Benefitfocus debuts on the NASDAQ as a public company under the BNFT ticker and subsequently announces announces1,200 additional jobs and $60 million campus expansion. The Flagships graduate 76 companies since June 2009. In the Digital Corridor's annual survey, 94% of the participating companies add jobs with 88% expecting to add more in 2014. At an average annual wage of $71,657, the average wage at Digital Corridor companies is 1.7 times the regional per-capita wage. Charleston's Silicon Harbor is recognized nationally on the map of emerging tech hubs. 310 students graduate from CODEcamp since the program launched May 2012 . In January 2012, the Digital Corridor adopts its first, in-house, comprehensive workforce development strategy for Charleston's knowledge economy which was designed to connect, support and develop technical talent in Charleston. In May 2012, the Digital Corridor launched CODEcamp, an independent learning platform designed to expand and enhance Charleston's technical talent pool as part of its new workforce development strategy. These year-round coding classes, taught by professionals at member companies, graduated 75 students and expanded to include 9 course offerings. During 2012, the Digital Corridor launched the Charleston Free Wi-Fi network by partnering with Google in downtown's Marion Square Park (February) and Home Telecom at the newly dedicated Governor's Park on Daniel Island (July). Charleston became one of the elite three in August as three members of the Digital Corridor made it to the Inc 500 list of fastest growing companies in the US. BoomTown ranked #9 and Omatic Software ranked #12 in fastest growing software companies; BiblioLabs ranked #7 fastest growing media company. The Digital Corridor's Annual Wage & Employment survey results affirmed solid job growth in October; 100% of participating companies added staff in 2012 and 73% planned to continue hiring through the end of the year. In May 2011, Flagship2 (FS2) an expansion of the highly successful Flagship co-working facility, came online and reached 100% occupancy in less than three months, bringing with it eight new companies to Charleston. The Digital Corridor's Annual Wage & Employment survey results were announced in October with the findings that 38% of reporting companies more than doubled in size and 88% made hires or planned to hire during the remainder of 2011. Avista Solutions, BoomTown, Blue Acorn and PeopleMatter announce relocations or expansions of their headquarters to peninsular Charleston. The greater Charleston area climbed to 11th in the Milken Institute's "Best-Performing Cities 2011" rankings from 19th in 2010–-and 30th in 2011. Charleston has been tagged as one of the economically healthiest metropolitan statistical areas in the country. In January, CharlestonWORKS.com was launched to connect qualified career seekers with the vast number of technical job opportunities in Charleston's growing knowedge economy through its website, twitter feed, career fair visitations and other outreach opportunities. Amidst the anemic national job growth picture, 61% of the Digital Corridor companies participating in the Annual Wage and Job Growth survey reported that had added jobs in 2010 and expect to continue hiring; Digital Corridor average wages continued to be double the state average. TheFlagship, Charleston's premier co-working facility operates at 100% occupancy, graduating 7 companies, creating 65 jobs and infusing over $5 million in payroll into the local community. The Flagship, Charleston's premier co-working facility for knowledge-based businesses opens for business. Digital Corridor companies's average wage reached $83,636, surpassing both state and regional averages of $36,050 and $37,520, respectively. Despite the economic uncertainty of 2009, Charleston's knowledge economy continued to thrive; the SC Research Authority, the Medical University of South Carolina and the City of Charleston collaborated to develop the Charleston region's first wet lab incubator, the Charleston Innovation Center. Charleston Digital Corridor founder, Ernest Andrade, expands leadership to the Office of Business Development for the City of Charleston while remaining Director of the Charleston Digital Corridor. Myconostica Ltd. and Surya Biofertilizers locate in Charleston and close on funding. City of Charleston, Medical University of South Carolina and S.C. Research Authority collaborate to create a life sciences innovation center. JSJ Pharmaceuticals and Belimed locate their respective headquarters to the Digital Corridor. Prominent companies, including Digital Lifestyle Outfitters Automated Trading Desk and QuickFarm were acquired. Several corridor companies received institutional and angel investment. By years end almost one billion dollars flowed into a handful of companies - leading to large employment gains in Charleston's knowledge economy. Adding to the sizzle was the announcement by internet search giant, Google, that they were locating a major data center in Goose Creek. Benefitfocus.com and NanoScreen dedicate their corporate headquarters buildings in the Digital Corridor's Cainhoy District. The Corridor's Talent portal gets a major makeover. eSchoolware is selected as a recipient of the "Corridor Fund." The Digital Corridor grows to 77 companies. Entrepreneur Magazine names Charleston the #2 mid size city for entrepreneurs. Inc. Magazine names Charleston the 12th Hottest Midsize City. The Charleston Digital Corridor receives recognition as a best practice community at the 6th Annual Intelligent Communities Forum. Charleston's wi-fi project "the radius" goes live. The South Carolina Research Authority (SCRA) announces an ambitious new initiative – SC Launch. Charleston is ranked one of the best "New American Dream Towns," by Outside Magazine. The Digital Corridor launches a new initiative - the "Corridor Roundtable." The "Corridor Fund" is launched to provide a source of seed capital for Charleston's growing knowledge-based community. Average wage levels at corridor companies decline slightly as the number of start-up companies grow, yet employment numbers continue climbing.